Mount Flume lies on the southern end of Franconia Ridge and features stunning views of Franconia Notch, the Pemi Wilderness and the rest of Franconia Ridge. It is often combined with Mount Liberty as a day hike. The flume slide trail is a very steep but gorgeous trail that begins just after the Flume Visitors center. This trail begins at the Lincoln Woods Parking area along the Kanc. This trail is less traveled and less steep than the flume slide trail. This is a section of trail that is hiked most often for the Pemi Loop. This loop trail is highly recommended. This is the best way to tackle both of these 4,000 foot mountains. You can choose to go up the flume slide trail (recommended), or up the Liberty Springs Trail. Mount Flume is an awesome hike. If you are a fan of steep trails with a little bit of rock scrambling, the flume slide trail is a must. In winter months, the flume slide trail is extremely ice and difficult. Crampons/microspikes are absolutely required. The trail features gradual gains until about the last 1.5 miles where you get the majority of your elevation gain. 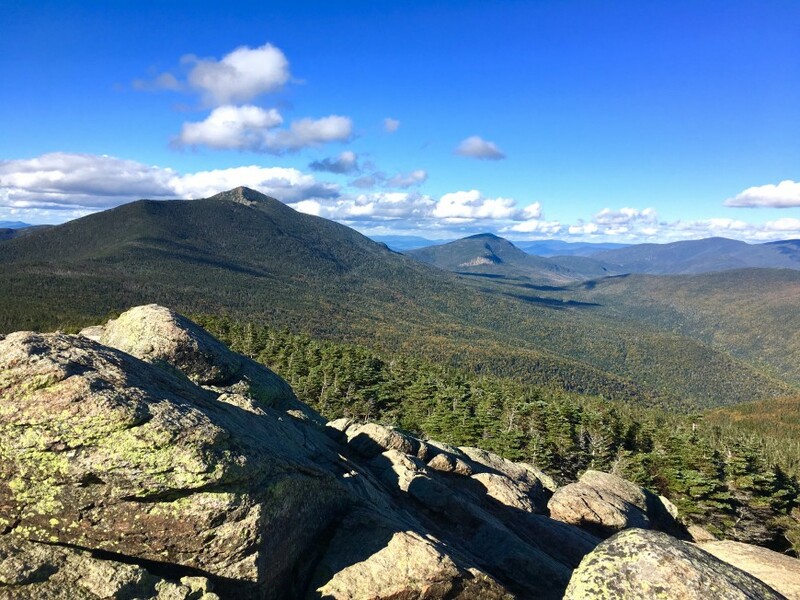 The Mount Liberty and Flume loop is a fantastic day hike and is highly recommended.